Afro Pop and R&B heart rob Praiz has an amazing Valentine planned out for some lucky fans this week as he rolls out his Valentine’s day giveaway in collaboration with MTECH communications. 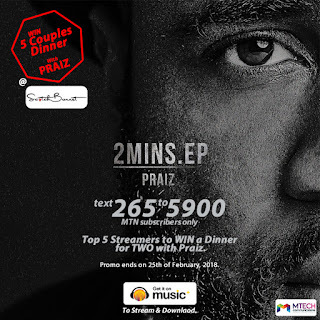 Five lucky fans will be treated to a lovely dinner date for two with Praiz at the Scotch Bonnet Restaurant when they stream Praiz’ newly released “2 Minutes” EP. Fans of Praiz will also get a chance to call in and speak with him and also tweet him live on Valentine’s Day, to know what the “Rich and Famous” crooner has been up to and get more gist on how they can become winners of all these goodies. He will be live on air at the Beat 99.9 fm by 10 am on the 14th of February and later that day by 2pm he will be having a live twitter chat with fans on the Music Plus Tweet Guest. 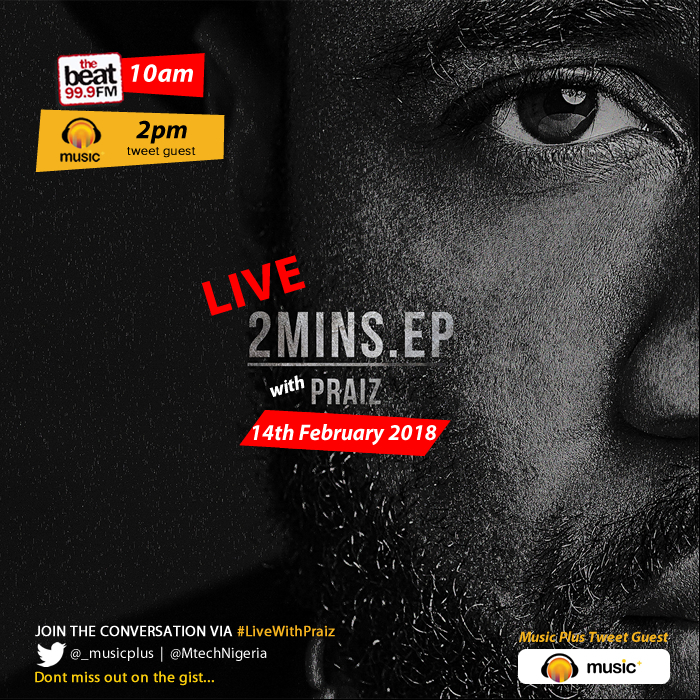 Fans should tune in and join the conversation with the hashtags #LiveWithPraiz and follow @_musicplus & @MtechNigeria so they don’t miss out on the gist. 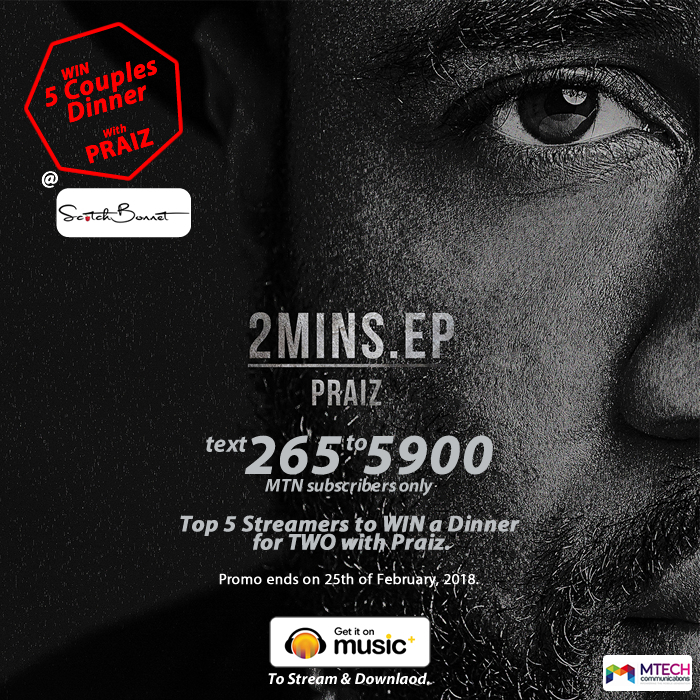 To qualify to win these amazing prizes fans can subscribe to stream Praiz’ “2 minutes” EP by texting 265 to 5900 (MTN subscribers only), the top 5 streamers will be selected and they get to win dinner for two with Praiz at the Scotch Bonnet restaurant, this promo ends on the 25th of February, 2018. Praiz who recently released his highly anticipated “2 minutes” EP is set to perform at the 100% Valentines outdoor concert this weekend. 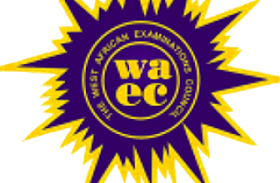 0 Response to "Win a dinner date for Two with Praiz this valentine"